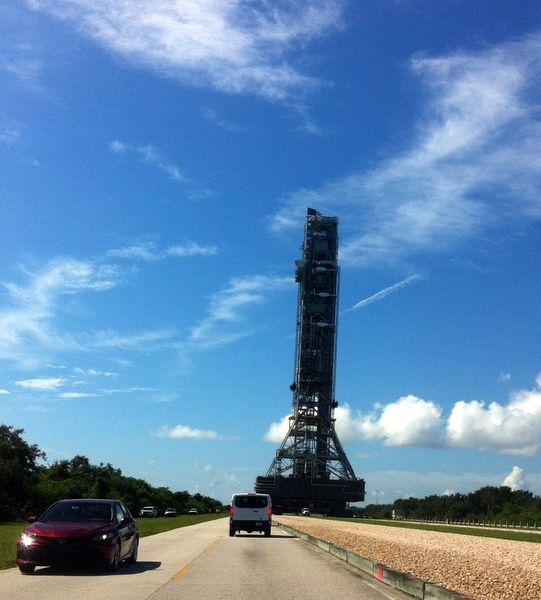 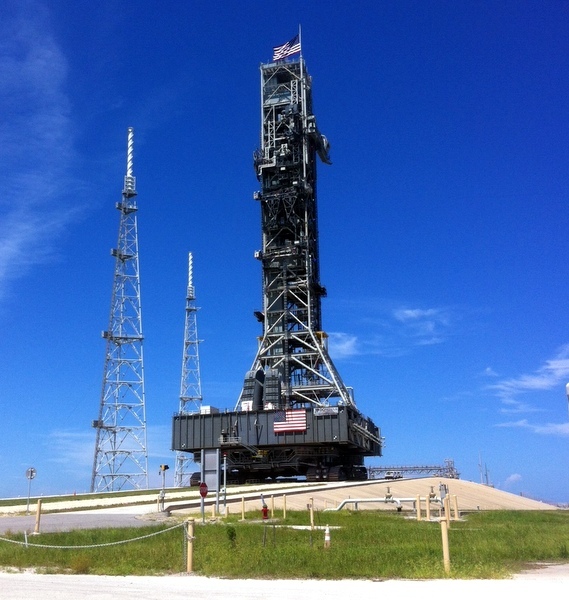 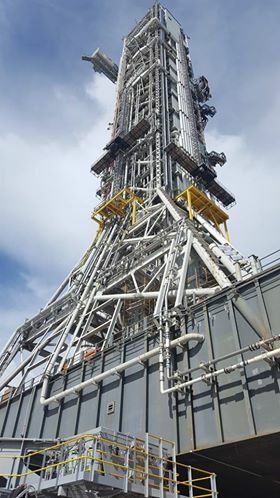 The 300' ML Mobile Launch Tower for NASA's new SLS rocket: "picked up" by the crawler & transported from the construction park site to the beach launch pad 39B for a "Test Fit"
The "Crawler" driving under to ML to pick up the behemoth tower. 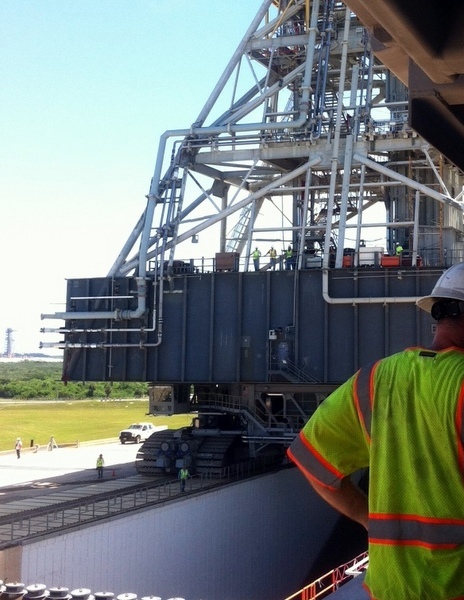 The two crawlers have been modified to lift and transport 18 million pounds. 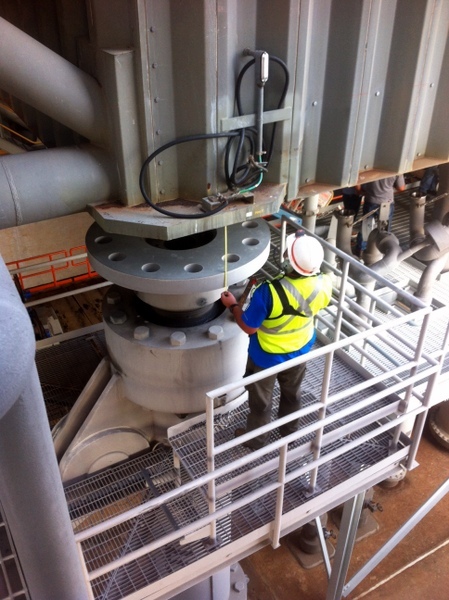 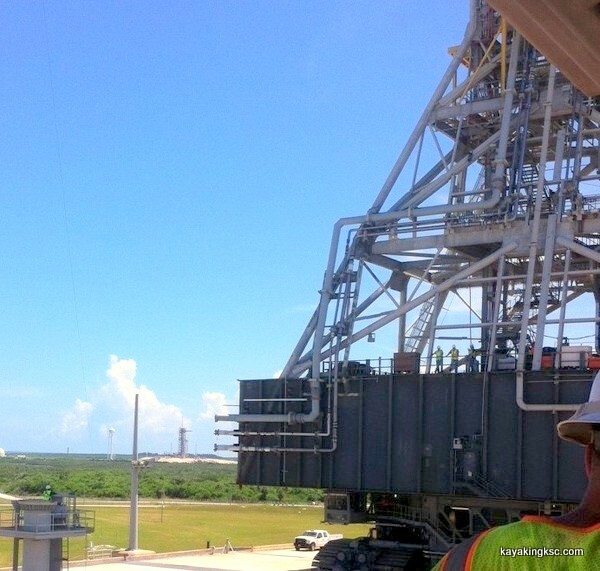 The Crawler and tower straddling the flame trench at the top of the pad. 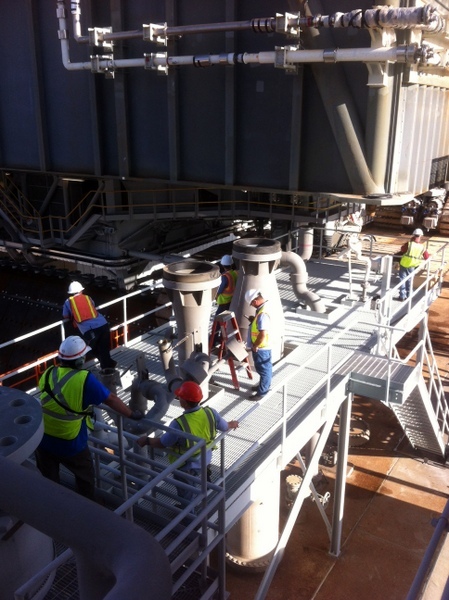 Everyone agreed, that the ML Safety observers (seen on the deck) for the two day trip "In late August" had the worst job of the fit test. 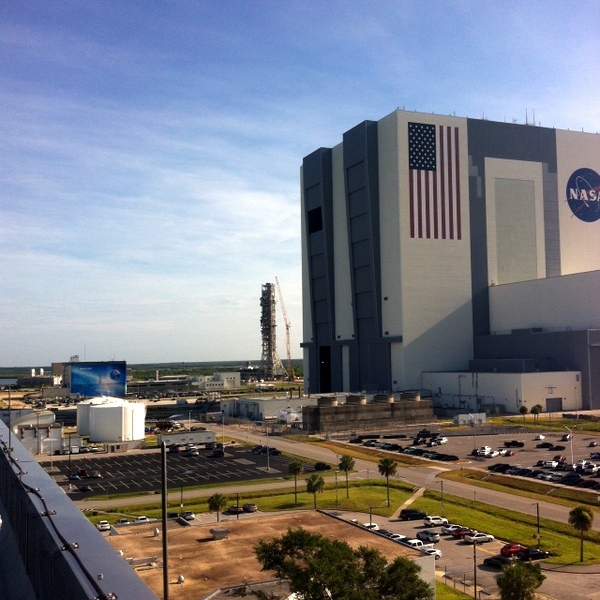 FYI, just thought I would share these few photos to demonstrate the building excitement on Kennedy Space Center for the EM1, SLS lift off!